The BAYONIX® BOTTLE is an uncompromisingly sustainable drinking bottle, made of healthy materials without harmful substances, neutral in taste and smell. It is 100% recyclable and compostable, leaving no micro plastic behind. This is the first bottle to be Cradle to Cradle Certified™. It is lightweight, leak-proof, easy to fill and clean, has an ergonomic design, a separate drinking opening with quick release and a carabiner eyelet. 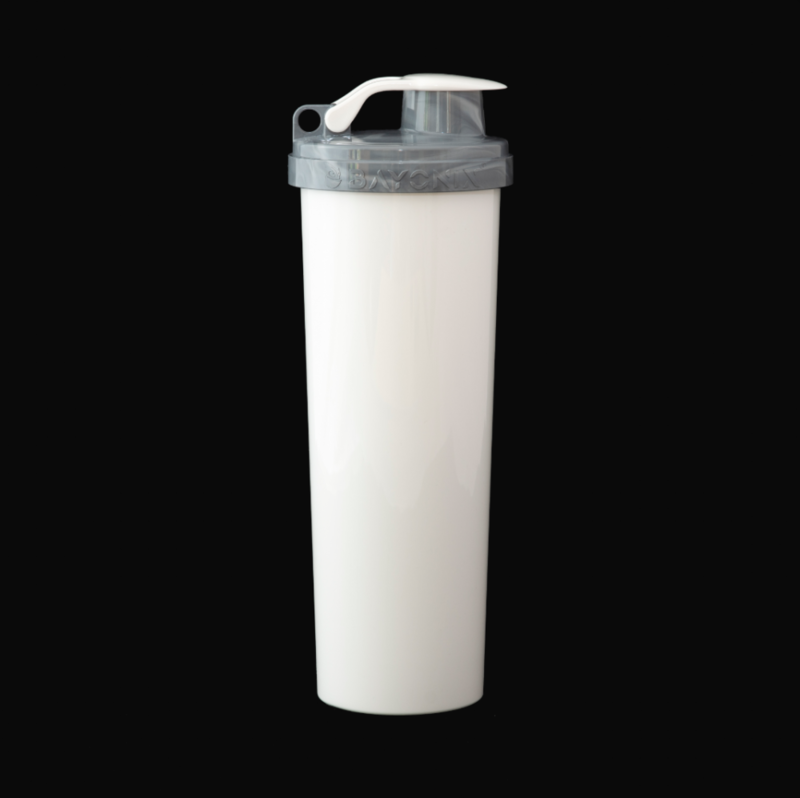 The BAYONIX® BOTTLE, lid, cap and all ingredients like polymers, additives, catalysts and color are safe for biological cycles and therefore safe for humans, animals and the environment. If the material ends up as waste on the earth or in the sea, it is used by Microorganisms and decomposed without residue. But in order to be correctly composed it should be going through an industrial process. It is not advisable to throw it on your compost heap. The BAYONIX® BOTTLE is also completely recyclable. All parts can be purchased separately and customers will be granted with a 30% discount when they return their old bottle to buy a new one to encourage recycling. The design was deliberately set to simplicity. All unnecessary design elements that would spoil the originality of the product, have been waived to represent a minimal implementation. Clear lines and smooth surfaces with the simplest possible transitions underline this. Great emphasis was placed on improving the functions of the water bottle rather than worsening it through the design. BAYONIX® was founded in 2016 by Stefan Hunger, a specialist from Germany in manufacturing technology and development with 25 years of experience. 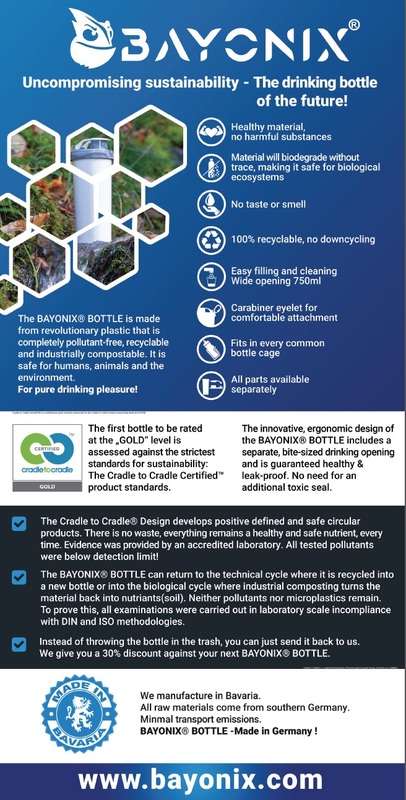 Based on the idea of providing people with a durable and environmentally friendly alternative to disposable plastic with the aim of freeing the planet, the environment and people from disposable products, the first product, the BAYONIX® BOTTLE, was created. BAYONIX® products are manufactured according to the Cradle to Cradle® principle.